Why choose Kelaw Immigration Consulting and Recruitment Inc.? By choosing Kelaw Immigration you are ensuring you will receive the right advice from an individual with experience working in the immigration field. Our commitment is to provide you with honest advice. Yes, there is a $250 consultation fee. This consultation fee will include a full assessment of your immigration options. Should you choose to retain Kelaw Immigration, $100 of this fee will be deducted from your application preparation fee. Just call or email us at the information provided on the Contact page and we will set up an appointment, we will make all efforts to accommodate your availability. 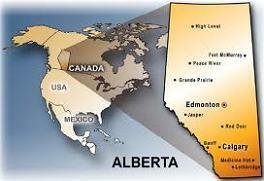 What if I do not live in Edmonton? Not a problem, we have developed solutions to ensure anyone seeking advice is able to do so. We can communicate via telephone, email or fax. We will send you a questionnaire and based on the completed questionnaire we will be able to start an assessment of your immigration options? What if I am inquiring regarding an immigration category not listed under your Services page? There are many different types of immigration applications and we cannot list them all on our website. Contact us for more information and if your inquiry is not in an area of our expertise, we can refer you a professional that can assist you? What if I am employed in a trade occupation (e.g., Welder, Plumber, Cook, Baker) and need assistance in preparing my Alberta Industry and Apprenticeship Training (AIT) Qualification Certificate Application? Kelaw Immigration can assist you in the preparation of your application to Alberta Industry and Apprenticeship Training. What if I am seeking to immigrate to Canada and my occupation is regulated (e.g., Health Professions – Doctor, Nurses, Licensed Practical Nurses)? We can assist in directing you to the association responsible for regulating your profession. Kelaw Immigration wants to ensure you will be able to work in your occupation upon your arrival in Canada wherever possible. Why should I choose an individual licensed with the Canadian Society Immigration Consultants (CSIC)? In order to become a member of ICCRC, an individual must complete a training program and undergo continuing professional development courses on a yearly basis. By choosing a ICCRC member you are ensuring your paperwork is being handled by an individual with knowledge in the complex field of immigration.